After the rush of Christmas I usually find myself running behind a little making cards for January. I always have great intentions of being prepared but in reality it is usually a last minute idea. My sister recently celebrated her birthday and Mum asked me to make a card for her to give my sister. I happily made a card and then remembered that I needed one from me too! I had some new stamp sets I was keen to play with so it was hard to decide which one to use! I settled on Petal Palette as I had the Petal Passion designer series papers on my desk already. 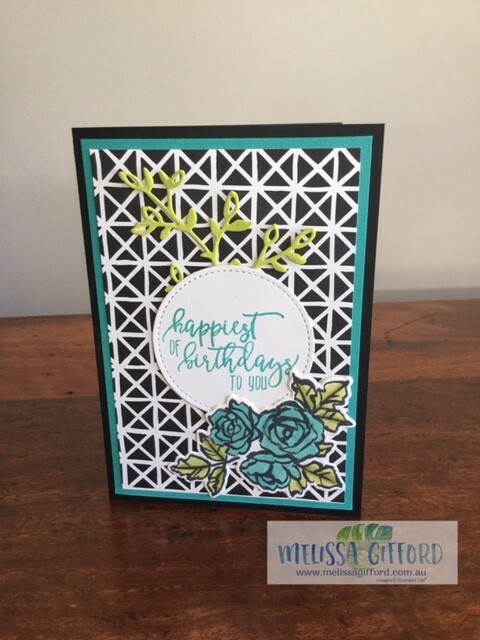 The images stamp beautifully and the coordinating Petals and More thinlits make it quick and simple to add extra elements to the card. 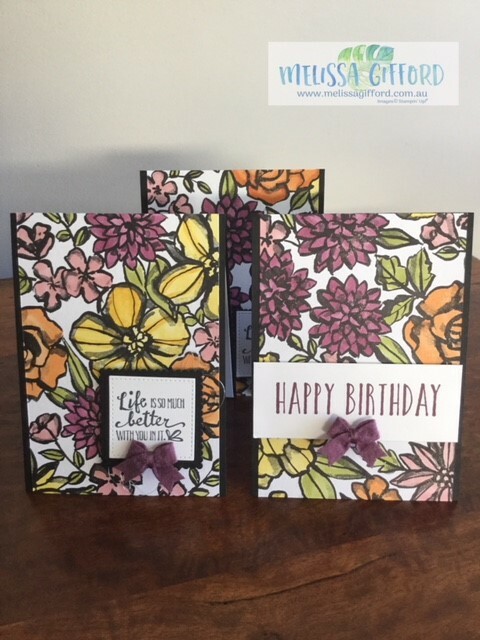 The sentiment comes from another fabulous set in the Occasions Catalogue - Picture Perfect.